Embraer announced on Wednesday at an event in Mauritius, the first order of the E195-E2 by an African airline, Air Peace. The Nigeria’s largest airline ordered 10 aircrafts with purchase rights to plus 20 units. According to the manufacturer, the deal could reach $ 2.12 billion in official figures. Embraer, however, did not disclose when the planes will be delivered, but confirmed that the deal will be in the order book in the second quarter. 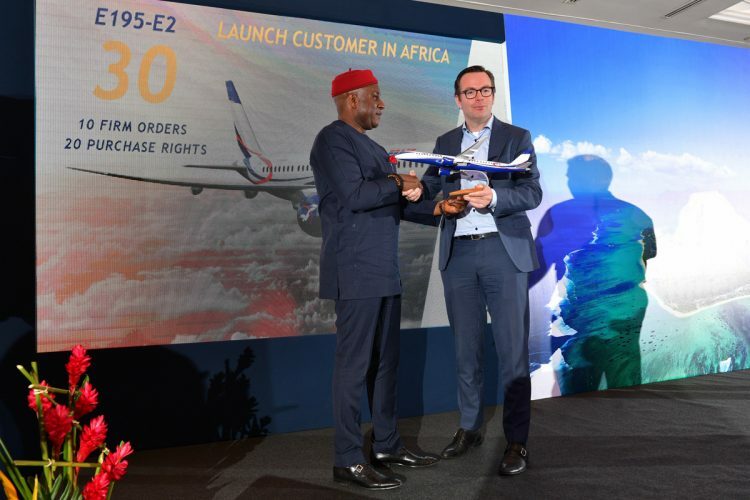 “The new Embraer E195-E2 delivers outstanding performance and it is also amazing to become the first company to operate E2 on the African continent, we already have the ERJ145 jets in our fleet and we know the high standard of Embraer products,” said Allen Onyema, President and CEO of Air Peace. 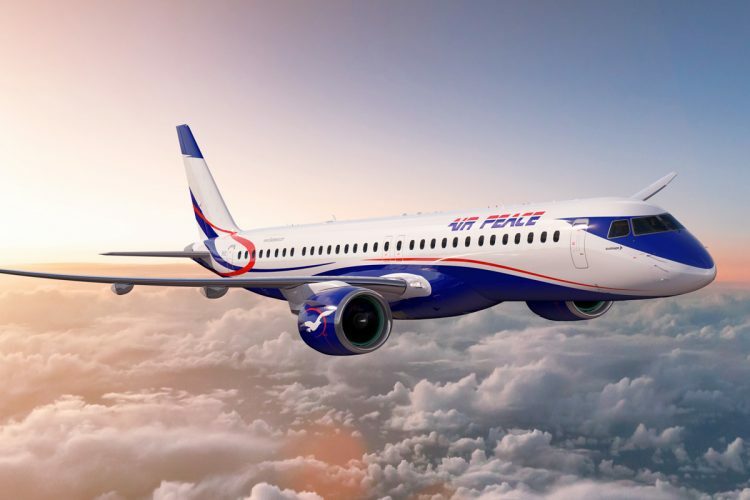 “Air Peace has the kind of pioneering spirit that Embraer loves. The company was created to provide highly skilled work opportunities to the people of Nigeria and boost connectivity, which means contributing to the region’s economy. Air Peace has been successful in achieving its two goals by becoming a successful and fast-growing airline. It’s great to have her embark on the E2 program,” said Arjan Meijer, Embraer´s Chief Commercial Officer. Since last year, the Nigerian company has operated six ERJ145 jets on local routes. Founded in 2013, Air Peace has private control and operates, in addition to the Brazilian airplanes, 12 Boeing 737 classics and two Boeing 777-300s. The company has placed an order with Boeing last year to receive 10 737 MAX 8, jet that is banned from flying until the two recent accidents are cleared, one on the African continent. The E195-E2 version is the largest capacity in the family and will enter service this year with Azul Linhas Aereas, its launch costumer.